Hi Friends! Great news–this week my YouTube channel reached 1000(!) subscribers. I still can’t believe it myself! I am so encouraged by everyone’s support and kind words. Thank you so much to all my readers and viewers. In case you missed my birthday haul video a couple weeks ago, I mentioned that my life is very busy at the moment, so hopefully you can forgive me for fewer posts and videos. Once everything is back to normal, I hope to get back into a more regular posting routine. In the meantime, today I have a neutral wedding card to share with you. 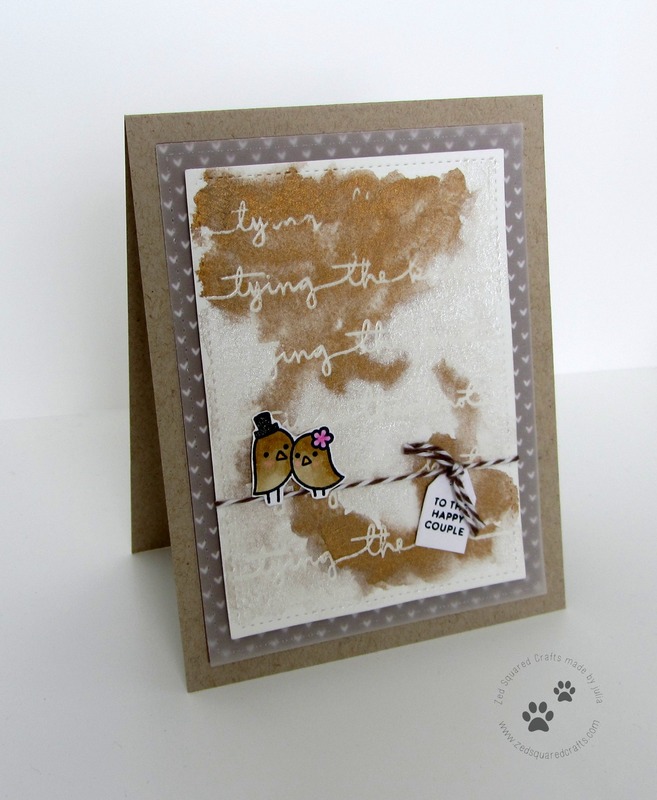 I used supplied from Simon Says Stamp and Lawn Fawn to create this card. You can watch the how-to video below, or over on my YouTube channel.